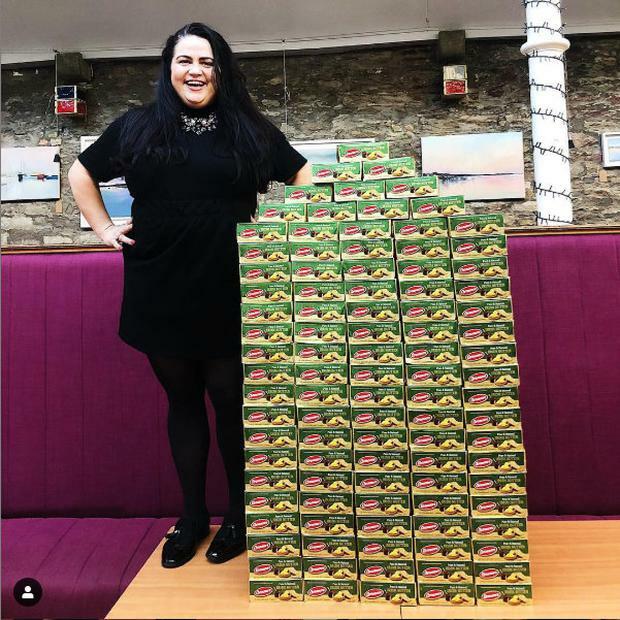 A Cork-based chef has shared her inspirational story of losing over 100lbs to mark her 31st birthday. 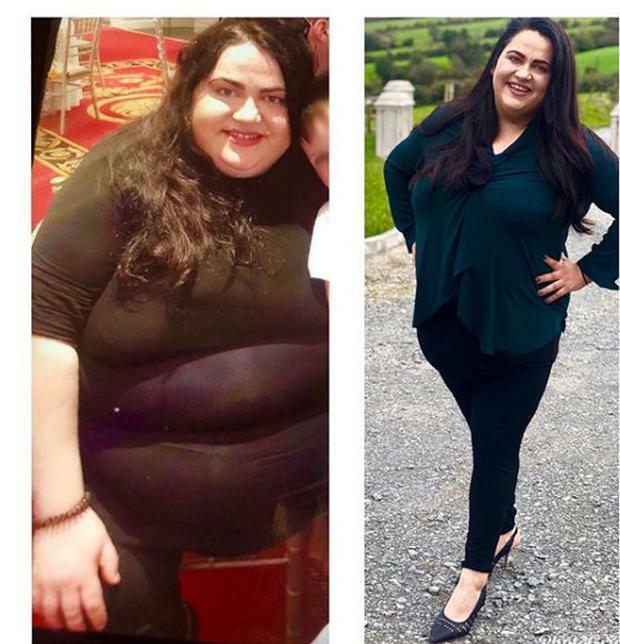 Trisha Lewis, originally from Limerick, appeared on the Late Late Show in January to talk about her weight-loss journey. Since then she has gone on to lose even more weight and her life has been turned around. She posted a photo of her transformation on Instagram this evening - showing one image from her 30th birthday last year and from her 31st birthday, which she marked on Thursday. She also posed with 100 lbs of butter to represent how much weight she had lost so far. She said that while there is such a huge difference between the two images, she said that the main difference is inside her head, "knowing I'm healthier". "Yes my clothes fit better now, my stomach doesn’t hang and rest on my thighs, my arms don’t have sores, my neck isn’t stuffed in my shoulders, my hair is healthier, my nails are done but the main difference I feel is inside my head and knowing I’m healthier. It’s clearer now.No one is in there thinking negatively, no one Is telling me I’m gross. I can see the wood from the trees. "I can smile without feeling panic straight away that I am obese. I can walk down the street & not worry about people staring at me," she said. "I can shop & pick up colour instead of big and black. I can walk up stairs without feeling faint, I can pick up a fork if I drop it without getting dizzy, I can lie on my back & not feel like I’m suffocating, I can fit in my shower & bend down & wash my feet. I can tie my bra & not even think of it." Trisha said that she was "trapped" in her old life for too long and didn't have any birthday photos of the last few years. "It was always a crap reminder that another year had passed & I was just fatter," she said. "I always assumed I would have a huge 30th. Truth of that photo on the left I was at my birthday lunch crippled in anxiety. "(I was) terrified friends would be there as a surprise & they would see how fat I was. "I was keeping a secret from my family. I wasn’t telling them that I was miserable. That I weighed 26stone 3 weeks previous. "Now in hindsight I should have as they knew I was suffering. Everyone just wants you to be happy & healthy. Stop being ashamed of the scales.It’s like your salary. A taboo subject that no one speaks of. Just move on. "My only regret is I didn’t take my head outta the sand sooner & beat the bulge." You can follow Trisha's journey on Instagram at @trishas.transformation.